Suzuki Intruder vs Royal Enfield Bullet 350: Royal Enfield Bullet 350 ABS is the more fuel efficient one with a claimed mileage of while the claimed figure for Suzuki Intruder STD is . 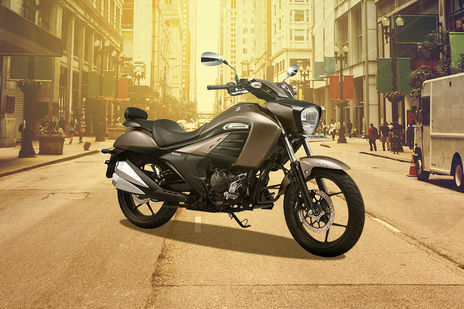 Suzuki Intruder is priced at Rs 100306 (On road, Delhi) while Royal Enfield Bullet 350 is the costlier one priced at Rs 121380 (On road, Delhi). Intruder is available in 3 colour options while Bullet 350 has 5 colours to choose from. Q. I want Standard 350 with self start. 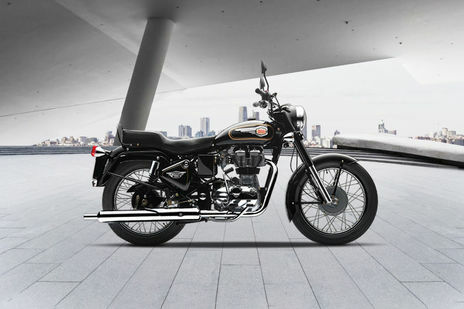 Q. I want to buy royal enfield Standard 350,Whats new updates on this model. Is Self-startavailable in this model?